In eastern Pennsylvania, Bethlehem Steel was the second largest steel provider in the U.S. for much of the 20th century. Founded in Bethlehem in 1857, the company produced steel for skyscrapers, major bridges and ships. But due to declining demand, rising labor costs and foreign competition, the steel making at the large complex ended in 1995. The area of the original plant has now been partially converted to an arts and entertainment district with live music concerts at the foot of the massive blast furnaces. 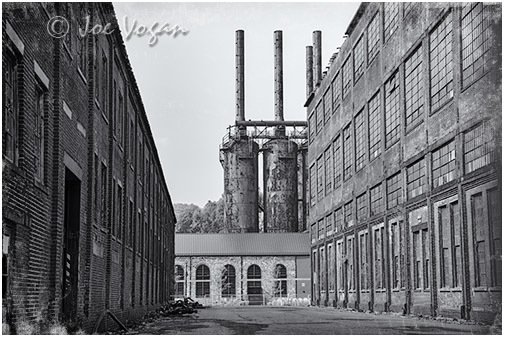 It’s an interesting blend of industrial decay and contemporary urban use – and a great spot to take a few photos.